Having a regular job, I find, is really cutting into my personal time. But millions of people do this, right? Hold jobs and have families and do stuff, and still have time for housecleaning and shopping, maybe a little tv, some blogging even. I'm sure I'll get the hang of it someday. Or I'll find a way to improve the computer situation such that I don't have to wait (read: give up) my turn. The thing I hate most about work: papercuts. I have lots, everywhere! Helena is her usual awesome self, though a tad on the dramatic side lately, both in the exaggeratedly emotional sense and in an inventive sense too (for example, her greeting her reflection in the mirror as if it were a stranger). But I have no anecdotes. Has anybody seen The Fountain? We watched it Sunday night, after a very sad weekend (a memorial service for my deceased cousin; we drove far and back). The tree of life, the fountain of youth, becoming one with the cosmos, eternal life in death. I haven't made sense of the movie fully rationally, but I found it strangely beautiful, poetic; it left me at peace. I stayed up late finishing a project for Helena for daycare: a family tree. Next time she's on her own. This weekend also marked Helena's first stay in a motel, which she has incorporated into her play-acting scenarios. I've long finished reading Murakami's After Dark, which I thoroughly enjoyed while I was in it but seems to have left me already, and McCarthy's The Road, which I was surprised to discover I did not like much at all. I fully intended to write more about each, but I'm starting to wonder if that'll happen. The thing I like best about work: the commute. In the mornings, it's a family affair. I ride a couple more stops on my own, reacquaint myself with the novel I fell asleep to the night before. The way home is all mine. It's not long, but just long enough to read a chapter. I started Alexandre Dumas's Georges, but it's a little more demanding than I can give it at the moment. I'm about halfway through Peter Carey's Theft right now. What are you reading? Helena tells me her dream the other morning, that she was at a party(?!) and la madame(?) said Doctor Who was there, but Helena looked and looked and couldn't find him anywhere. But then la madame pointed down the hallway, and Helena saw him there, in the bedroom, in bed, fast asleep. So she went up to him and gave him a quick kiss on the mouth and ran away, but he didn't wake up. Since Helena's prize, season 2 of Doctor Who on DVD, arrived last week, our household is pretty much all Doctor, all the time. In trying to explain some of the plot points to her father, Helena clarifies a nuance, "No, he doesn't turn into a werewolf. He is a werewolf. He turns into a wolf." Tucking her in at night: "You smell good, Mommy. You smell like Mommy." Unquestionably, Hamilton originally conceived Gorse as a villain of the deepest dye, a walking encapsulation of the great criminal names of English folklore. This impression is reinforced by the eagerness with which Hamilton constantly mythologizes him, compares him to other criminals (he apparently has a touch of Burke and Hare, not to mention resemblances to Palmer the poisoner and Neville Heath, who mutilated a series of young women), offers scornful summaries of what journalists have said about him and, in Unknown Assailant, even manufactures a couple of biographers, "G. Hadlow Browne" and "Miss Elizabeth Boote", who have written full-length books about him. The problem about these exalted standards is that Gorse can never live up to them. While it is perfectly possible that Hamilton intended to develop him into a figure of Heath-like depravity in later books, his early career is trivial in the extreme. Mrs Plumleigh-Bruce, with her snaffled £500, rests at the top of a very small range: Esther’s savings amount to a paltry £68.15s, while the fleecing of Ivy Barton realizes a bare £50 (although to do Gorse justice he does manage to relieve her father of an additional £200). A really competent performer, you feel, would already be helping himself to thousands, hoodwinking Lloyds syndicates with insurance scams, issuing false prospectuses and retiring to the Riviera on the proceeds. But Gorse, as confidence tricksters go, is ominously second-rate, betraying his social origins from one phrase to the next — speaking French to Mrs Plumleigh-Bruce at one point he pronounces et as "eight" — bragging about his prospects and trusting to the extreme stupidity of his victims to see him through. Such is the number of people who have their doubts about him — these range from his prep-school headmaster to a theatre director met for a few moments in the pub — that the reader wonders why the procession of female dupes can't see through him as well. But while this may undermine Gorse as a character — commonplace when he should be exceptional, conceited when he should be discreet — from the point of view of the trilogy as a whole it works to Hamilton’s advantage. What starts off as the analysis of a particular "type" ends up as a series of psychological case studies and, more important still, an exposure of the milieu that gives them life. I thoroughly enjoyed The Pesthouse, by Jim Crace (but then, in this household any apocalypse and its aftermath is a source of fascination). There was a review of The Pesthouse in The Globe and Mail a couple weeks back, but seeing as I'd only just started reading the novel, I barely skimmed the review. Looking to it now, I see that it's available to subscribers only (which I am not one), so I can't quote from it or say anything, really, other than that I believe it was fairly positive. Then there's the New York Times. You can't help wanting more from art, and from Jim Crace. You can't help wanting something new, something beyond an inspired melding of science fiction and the horrors we ourselves dream up in the dead of night. It's disorienting and a little dispiriting — like some sort of odd déjà vu — to read about the hell of the future and feel that we've been there before. Prose was stalled each time characters acted counterintuitively; I didn't find them to act so at all. They're among the most rational, commonsensical, most human (and most humanly flawed), most real creatures I've ever met in a postapocalyptic setting. [Crace] brings his large, distant abstractions — prehistory, a dystopic future, religion, death — up close, segmenting them into tangible and particular fictional parcels. His universal themes are paced out in wry individual footsteps. It is a story of redemption. With that I must agree. The redemption of 2 people in a big, ugly world. It is grim, but not desperately so. It has political and ecological concerns. There are problems of health and of technology. It has elements that are mystical. But no one mood or angle is prevalent. And in this way, perhaps, it is a balanced extrapolation of our now — a fairly reasonable, believable depiction of the not-too-distant future. I think postapocalyptic books are a reflection of the fears and mood of the times they are written in. There's no mistaking those that derive from the atom bomb, the arms race, the Cold War. Some books are fueled by particular political movements; some by specific medical or other scientific advancements; recent dystopias are founded in ecological crises. There is no evidence regarding the nature of Crace's apocalypse. The people of America in Crace's future believe they will find a better life elsewhere, that the rest of the world goes on as always, civilized. Whether this is so, we never know. It's set in America's medieval future and is an inquiry into my — and the world's — love-hate relationship with the United States. America itself is a pesthouse. This used to be America, this river crossing in the ten-month stretch of land, this sea-to-sea. It used to be the safest place on earth. Read Chapter 1 on the publisher's website. We know Bill Clinton is good at crossword puzzles; he's pretty good at writing them too. His first set of clues appeared in the New York Times the other week. Will Shortz notes: "The clues in this puzzle are a little more playful and involve more wordplay than in a typical crossword. You have been warned." For example: Social events for flirts? Teas, of course. I'm out of the habit of doing crosswords in recent years. I'm still working on this one, in little sections over coffee breaks. I'm rediscovering an old love. Follow Bill's advice for problem-solving, be it crossword or life: Start with what you know. Preamble: I'd written most of what follows days ago, and I'll let it stand without the further elaboration I'd intended, but it all seems pointlessly trivial now. Whatever. 1. I started a new job last week. It both fails to meet and exceeds expectations, in different ways. But on balance, the job's a good thing. 2. This new routine is both easier and harder than I'd expected, in different ways. 4. My feet hurt. Heels are much less comfortable than the barefoot lifestyle to which I'd grown accustomed. 5. I sometimes forget that I am not the only one affected by these new routines. Of course, everyone else in the household must adjust too, including the cat, who seems a bit insulted that I'm no longer available for him to ignore at his leisure for long stretches of the day. 6. J-F, Helena, and I take the metro together in the morning. Helena loves this. She and her father get off a couple stations before I do. Her loudly waving bye-bye to me never fails to put a smile on my face, and seems to brighten up many of the other faces in my subway car too. 7. I have yet to figure out how to squeeze blogging into this new life. While it may seem that I've been posting as (ir)regularly as before, I confess most of the past weeks' entries were things I'd previously written and simply had not gotten around to tidying up and posting. The 3 of us vie for computer time in the evening, and as yet I've not had the energy to argue my case very firmly. 8. I've been invited to join the company blog. Sadly, it does not include any literary discussions. 9. I had word that Helena's Dalek was a prize-winner. The complete second season of Doctor Who on DVD arrived in today's mail. Helena's thrilled, but still asked whether she would be receiving a medal (uh, no). 10. We (the Company) had a 5 à 7 Thursday. The upstairs lounge of a prominent Crescent Street location was reserved solely for employees. Free drinks! It's kind of nice to work in an office where "fun" means something other than "pot-luck luncheon." 11. I was delighted to be hearing questions of wording being bandied about over cubicle dividers, and it was satisfying to be able to pipe up and clarify the difference between "honing" and "homing (in)"; but you cannot imagine how far my jaw dropped to discover the question had been posed by a Quality Assurance Editor. There is a place for me here, to set some editorial standards. 12. There were buskers in the tunnels from the metro station to my office building Friday. Two girls with guitars, harmonizing beautifully, singing "Message in a Bottle"; it sounded like a a special message for me. I felt guilty for not dropping any change in their cases, hoarding my few coins for a sorely needed espresso to grease up my brain before entering the machine. 13. Every coffee place has its peculiar rhythms, its own names for things. I resent being accosted with attitude for not knowing these things on a first visit. Espresso, alongé trois-quarts — that's what I want. I've since learned that while the ground floor coffee is 34% more expensive than the mezzanine coffee, it's easily 1000 times better. 14. The cat has taken to napping in Helena's room, which heralds the advent of long-sought but strangely elusive good vibes in that corner of our home. I'm not sure how they came to be finally. I don't believe the cat carried them in on his back, but I do believe him to be a fair barometer of the feel of a place. 15. I finished reading Jim Crace's The Pesthouse last week. I enjoyed it, but it wasn't nearly so compelling a read as I'd anticipated, and pales in comparison to some of the more stellar books I've had the good fortune to be exposed to in recent months. I may or may not have more to say about it in coming days. 16. I'm currently devouring, and have almost finished, Haruki Murakami's After Dark — my first Murakami (I know!) — and am love-love-loving it. I wonder if Peter ever read Murakami. I think he would've liked it. 17. I used to think my cousin Peter had a charmed life. That is, until he died this weekend, from complications following heart surgery for problems unsuspected but recently uncovered during a lingering bout of pneumonia. Age 36, recently relocated to Poland and married in December. It's the saddest thing. The Victorian Chaise Longue, by Marghanita Laski, is a very odd little story, with more than meets the eye. It's ultimately quite terrifying; indeed, a sink of malignancy. Very little happens by way of plot, but what happens in the mind is frenetic. There is no resolution; we're left to decipher the patterns, as Melanie tries, but the only link she finds between her present and the past she wakes up in — and the body she finds herself trapped in — is the chaise longue she lies on. We seem to be together now, she explained, you and I both hopeless. I think we did the same things, she told her, we loved a man and we flirted and we took little drinks, but when I did those things there was nothing wrong, and for you it was terrible punishable sin. It was no sin for Melanie, she explained carefully, because the customs were different; sin changes, you know, like fashion. Both Melanie and Millie are wholly dependent on their doctors and their sisters, who (inexplicably?) wield a great deal of power. Melanie is confined by illness, a condition compounded by childbirth, but it's really the doctor and the husband (and the sister!?) who control her fate. Her sexuality is strongly hinted at — the ecstasy that brought her to this place — but shame is stronger; while she seems to appreciate her relative freedom, we know it to be more suppressed than she admits. Whether Melanie is dreaming, having a vision of the past, or experiencing some other supernatural phenomenon is never explained. This slim novel provides a disturbing but worthwhile glimpse inside a woman's head, an opportunity for a woman of today to temporarily experience Melanie's 50-odd-year-old desperation and Millie's 150-year-old hopeless cause. It's been some time since I finished reading Cynthia Ozick's The Messiah of Stockholm, and I wanted to get a couple thoughts down before they vanish from my head entirely. The novel's starting point is the historical figure of Bruno Schulz, a Polish writer shot dead by a German officer in the Jewish ghetto of his hometown, whose entire literary oeuvre consists of 2 slim volumes of stories, and the rumour that Schulz had been working on novel a entitled The Messiah, any scraps of which may ever have existed being lost. In Ozick's story, Lars Andemening, a book reviewer, believes himself to be Schulz's son, and the manuscript of The Messiah surfaces. I'm in awe how neatly Ozick manages to capture Schulz's voice. There are passages so surreal and frenetic; there is no question that her characters and events are modelled after those in The Cinnamon Shops. Ozick does not sustain this tone, however, which is for the best. Ozick's story is not set in Schulz's Poland. Her Stockholm is culturally empty; Lars is depressed and cynical. Lars may take flights of fancy through his father's eye but he must always return to ground. The revealing of the manuscript is anticlimactic. The telling of its contents is a disappointment; something so mythic is better off remaining a mystery. But in this way the reader feels very like Lars must've — let down. Calvin : Hobbes. Helena : Poilly. 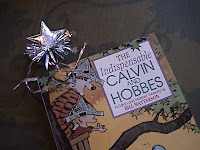 Helena found my Calvin and Hobbes treasury. Some weekends she totes it about with her constantly. She curls up on the sofa, or amid pillows in my bed, with "her" book. "Je fais comme Mama." She studies the images carefully, page after page. She uses her magic wand as a bookmark. She's particularly taken with those frames where the perspective is of Hobbes as just an ordinary stuffed tiger. I'm not sure what she makes of it, but the more I consider it, the more I see how her relationship with Poilly, the lion handpuppet, mirrors that of Calvin and Hobbes: the sidekick is an inseparable companion, partner in crime, conscience. Poilly (1, 2) had a birthday last week. He took a few days off from going to daycare with Helena. It seems his next birthday is already fast approaching and Helena is concerned that he'll be bumped up to the next older daycare group before she is. But Helena is a little more serious-minded than Calvin on the eventual prospect of school. She tells Poilly he'll have to wait outside for her, so as not to disturb her work, so that she can hear what the teacher says. Poilly reacts badly to this, so Helena modifies her stance: he can share her seat with her but he's not allowed to draw on her papers. Poilly is currently "vacationing" in Laval with Helena's grandmother, but I rather suspect he's been sent away. 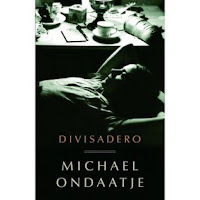 I was disappointed, upset even, that I wouldn't be able to attend any of the Blue Met — I had particular designs on attending the launch of Michael Ondaatje's new novel, Divisadero — but would instead be sitting at my desk, working. I did allow myself some breaks and I spent time in the world he painted for me instead, arguably a better place and a better way of getting to know a writer than face to face. "We have art," Nietzsche said, "so that we shall not be destroyed by the truth." The raw truth of an incident never ends, and the story of Coop and the terrain of my sister's life are endless to me. They are the sudden possibility every time I pick up the telephone when it rings some late hour after midnight, and I wait for his voice, or the deep breath before Claire will announce herself. For I have taken myself away from who I was with them, and what I used to be. 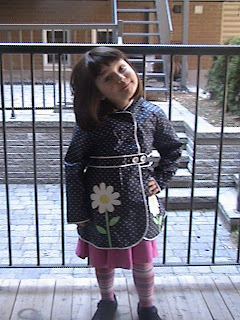 When my name was Anna. This little prologue may seem a bit precious and is particularly jarring when the story proper opens on horseback, a story of American farmlife (the kind of story I'm not drawn to in the least), but it eventually fits. We see at first through Anna's eyes and come to trust her as an observer: sensitive, well-read, — "the one who read so constantly and carefully she always had a frown, as if gazing at a fly on the end of her nose." I came to trust her too as a storyteller, translator of and researcher into Lucien Segura, a (fictional) Frenchman of letters. But her assumed talent as a storyteller is reason also to question the veracity of all she tells; that is, the emotions are sincere, but the facts remain hazy. It's beautifully written. Everything about my reading experience was languorous. Like a cat stretching, fur bristling with static. The title of the novel, Divisadero, comes from the name of the street where Anna lives; that is, it is her address, but she lives, works, loves, elsewhere, in France, in the past, and in her imagination. It's a Spanish word meaning both division and an elevated place from which a broad expanse can be viewed; it's referred to only once but it is a key to seeing the patterns — the divisions and plateaus of clearsightedness, both in the plot and in the structure — to make sense of all the story threads. And there are many stories in Divisadero. Ondaatje quotes Dickens; he does not leave room for doubt that each character is indeed the hero of his own story — Ondaatje tells them. We lose sight of their connection to other characters' stories; I'm still struggling to find parallels, but perhaps there need not be any. I found the transitions from one story to the next to be abrupt, though by page-end my discomfort was forgotten, so engrossed was I in the new voice and vantage point on the world. I was disappointed to realize I would not hear the end of anyone's story, particularly Coop's, nor that there would be any straightforward resolution. The present day romance of Anna and Rafael is a lovely if spare interlude. Perhaps the weakest of the stories is that of Claire, but I see know that it may be deliberately so, or at least appropriately. I have a theory: that Claire does not exist. She is Anna's other self, her fictionalized self, the self she could've been, or wishes she were. Coop mistakes one for the other. Anna herself comments on how much the same they were, until that traumatic event that changed her, divided her from the person she used to be. Ondaatje makes references to Stendhal's The Red and the Black (among other works of literature, notably those of Dumas). Again there's a sense that this means something; Ondaatje's trying to tell us something without actually saying it. Like Julien, Anna and others grapple with life decisions, and often refuse to make them, letting life unfold as it would. There is love not quite condoned and the questions whether to embrace it, deny it, run from it, toy with it. Often, however, Ondaatje's figures of speech prompt the reader to wonder if their purpose is, in the phrase of Joseph Conrad, to help make the reader see, or whether they are there for embroidery. This is sometimes true of the metaphors in Divisadero, although there are no conspicuously over-wrought examples here, as there are in some other Ondaatje novels. Anna's lover Rafael, the son of Segura's former tenant, sits in a chair as a boy and daydreams, "as if the chair he sat in was a horse to gallop into unknown distances." This metaphor could perhaps be dispensed with. Too many of these dispensable phrases point to Ondaatje's major weakness as a novelist, which is his tendency to construct characters out of nothing more than resonant phrases – phrases that seem to give the reader more information than they actually do. Describing Claire's feats of horsemanship, Ondaatje notes, "It was in this way that she discovered the greater distances in herself." The reader knows what Ondaatje is talking about, but there is no lively appeal to the imagination in these words. The novel feels fragmented, but it is perhaps just enough that the broad tapestry of life is vividly suggested, though many threads are broken and left hanging. There's something beautiful in Ondaatje's way with words — romantic, poetic, dreamy, indulgent, bloated with some ineffable meaning — even though (perhaps because) I can't put my finger on it. Divisadero is a strangely satisfying read. So I suggest to J-F, given our newly promised financial security, that maybe we should consider indulging in the extravagance of concert tickets — as a celebration, reward, a guilt-free pleasure — like, say, for The Police. We'd toyed with the idea when they first announced their tour, not that we're great fans, but we love them well enough, icons of a generation — our generation — blah, blah, blah. So we consider, and I jump on the internet and find tickets are still available, and I hesitate. "You really think we should see The Police?" And J-F thinks a bit, and says, "You know, if we're gonna go see a concert, I'd rather see Arcade Fire." In the spirit of getting with the times. And here we are in their hometown. Maybe they're known to jam at some little club on St Laurent. So I jump on the internet, and lo and behold, they're on tour, with dates in Montreal very soon (not an intimate venue, but...), only they're sold out. I find tickets on eBay, about $200 a pop. But a couple days later, it's still on my mind, and I ask J-F, "So just how badly do you want to see Arcade Fire?" And he says, "You know, Arcade Fire is well and good, but you know who I'd really like to see?" "Uh, no. Who?" "Ted Leo & the Pharmacists." "Uhh...?" "You know, the guy who does that version of Six Months in a Leaky Boat we like so much." "Oh! We should totally go see him!" So I jump on the internet, and lo and behold, they're coming to an intimate venue near us. So Thursday night, we dump the kid and, running short on time, splurge on a $4 cab ride to Boulevard Saint-Laurent, to an annex of the very same establishment where I occasionally drop in to buy art from their funky refurbished art-dispensing cigarette machines, and plonk down $15 bucks apiece to enjoy the privilege of watching Ted Leo & the Pharmacists, and 2 other bands too. We're a little out of practice at this sort of thing, so we arrive on time, even though an hour or two after posted starting time would've been a reasonable entrypoint. We entertain ourselves before showtime drinking quantities that mock the (relatively) cheap ticket price and making fun of people — including the guy in charge of t-shirt sales, who regularly counts out the change in the tips jar to see if he has enough for a beer (and finally he does!) and the guy manning the coatcheck, who even after midnight is diligently working away at the same sudoku puzzle — and how few people are there. Also, I marvel that among all the photocopies announcing future concerts on the wall lining the stairway there is a notice of marriage. So the first band is Vague Angels, from Brooklyn, and they're kind of crappy, in an artsy reminds-me-of-a-lot-of-stuff-I-listened-to-in-my-college-days way, inspiring me, as I sarcastically tell J-F, to go home and "work on my music." It turns out that the man behind them (and in front of them) is Chris Leo, brother of the aforementioned Ted, and he (Chris) is also author (and this is the only book-related part of this rambling) of 57 Octaves Below the Middle C Buzzed by the Bee (or Really) How I Lost This Place, as he happens to mention amid some mostly ineffective banter with the still spare audience, at which point he comes off as something of a pretentious know-it-all (annoying, yet still interesting), claiming to have predicted in his book (a novel, it turns out) the phenomenon of colony collapse disorder, citing it as the start of the end of civilization as we know it, though he fails to address the fact that North American Indians sustained themselves just fine before Europeans introduced honeybees to this continent. And then there's Love of Diagrams, with a girl drummer looking strangely delicate as she beats out a fusillade of rhythms. And then Ted Leo. And the pharmacists. Who're great. The pleasure of simultaneously feeling young and old: priceless. The Book Marketing Society in association with The Guardian has launched a nationwide (UK) promotion to find the book that best defines the 20th century. The promotion features a review of 50 specially selected titles and editorial features on the "groundbreaking" books defining the various decades of the 20th Century. Guardian books blog discussion (in which it is noted that Patrick Hamilton's era-defining The Slaves of Solitude was overlooked). When our nephew was 3, we tried to watch "Mary Poppins" — only to be met with an unexpected stumbling block: If it wasn't animated, he wasn't interested. (Really, really not interested.) As a result, after our son was born, my husband went on a musicals campaign: "Singin' in the Rain," "Swing Time," "The Wizard of Oz," even parts of the Bollywood extravaganza "Lagaan." By the time our son was 3, he demanded his own pair of tap shoes. When Helena came along there were only 2 children's movies in my video collection: Fantasia and Charlotte's Web. Five years ago the VCR was already a bit temperamental, so they've been viewed but rarely. Among baby preparation purchases were The Aristocats (a sentimental favourite of mine, although I try to resist the Disney machine as best I can) and Hans Christian Andersen (of which I have fond memories from my own childhood). About this time we also received a copy of The Secret Garden, "for when she's older." Our movie viewing then, in Helena's early days, was limited to these. So maybe it comes as no surprise that she likes them, and has a fondness generally for "older" animated movies as well as live-action films. I think kids respond to live-action more than we give them credit for. Children's television programming in my day featured real people: Romper Room, Mr Dress-up, The Friendly Giant, Mr Rogers. Even Sesame Street muppets interacted with regular folks much more frequently than they do today. It's bemoaned that it's increasingly harder to hold a child's interest, but technologically advanced animation (no matter its appeal to adults and its commercial success) may not be the answer. Maybe kids don't like animation as much as we think they do; they're simply not given many other options. I fully endorse his choice of Singin' in the Rain. While our first exposure to The Wizard of Oz was an overwhelming experience, our viewing this weekend was delightful. Last year on impulse, for a buck at a checkout counter, I picked up Shirley Temple's The Little Princess. I'd heard it be a desecration of the classic novel by Frances Hodgson Burnett (my very favourite! ), but had never seen it for myself. It is a travesty in relation to the book, but Helena loves it. I'm inspired to hunt down those cheesy old Sinbad movies I used to watch on Sunday afternoons. What old movies do you recommend for kids?